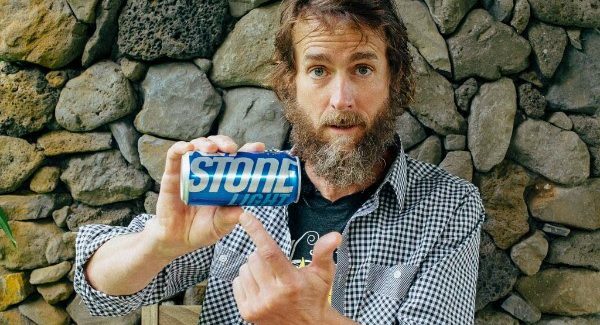 Greg Koch announced earlier this week that Stone Brewing has issued a lawsuit against MillerCoors over their packaging and branding efforts for the Keystone Light brand of beer. Stone is asserting that Keystone is willfully confusing customers with the prominence of the word “Stone” on the cans, as “Key” is on a different line in smaller text. I remember the campaign that seemed to play a major role in the rebranding, starring none other than Keith Stone. The ever-cool everyman was designed to be a casually , mustachioed man who was cool enough to show up at any college and be the life of the party. Keith Stone led the campaign with the “Always Smooth” tagline, because, you guessed it, Keith was incredibly smooth with the ladies. But, a few commercials into the campaign, he started referring to the case of beer of beer he was perpetually carrying around as his stones. MillerCoors claims that this was common slang for their beer among fans, but this was when they started leaning on the name for marketing purposes. You can see that the branding on cases is still plainly spelled out Keystone, but Keith, channeling the everyman, constantly refers to the beer as stones. These ads aired back in 2010, but since then MillerCoors has doubled down on the branding, limiting the imagery on cases and cans to predominantly read “Stone Light” as Greg shows in the statement video. This marketing campaign has been going on since shortly after Miller and Coors merged, but the brand has been leaning more and most on the stone branding since. I’m no lawyer, but it seems that it could be argued that the design of the can is banking on the success of Stone Brewing as they are one of the most prominent craft breweries in the space. Greg’s request is that MillerCoors simply put the “Key” back in “Keystone” to limit confusion. It seems reasonable, but with the scale of MillerCoors, it is assuredly a huge deal for them. It’s kind of cool to see one of the biggest craft brewers take it to the big guys, and I can see their point. Unfortunately, as far as the issues macro breweries are causing for independent brewers, I can’t see this as a significant victory.